Letter penned by notoriously anti-Semitic composer Richard Wagner warning of Jewish influence in culture to be auctioned in Israel. Wagner, whose grandiose and nationalistic 19th century work is infused with anti-Semitism, misogyny and proto-Nazi ideas of racial purity, was Adolf Hitler's favorite composer. While there is no law in Israel banning his works from being played in Israel, orchestras and venues refrain from doing so because of the public outcry and disturbances accompanying past attempts. Tuesday's sale of the handwritten letter, dated April 25, 1869 and addressed to French philosopher Edouard Schure, could rekindle the debate in Israel on the controversial composer. Wagner wrote in the letter that Jewish assimilation into French society prevents the observation of "the corroding influence of the Jewish spirit on modern culture", adding that the French know "very little" about the Jews. In 1850, Wagner published under a pseudonym his infamous anti-Semitic pamphlet, "Judaism in Music", in which he lambasted Jews. It was re-issued in 1869 under his full name. Meron Eren, a co-founder and owner of the Kedem auction house which will be selling the letter on Tuesday, said this was the first time he was dealing with a Wagner item. "Wagner would roll over in his grave" if he knew that a bearded Jew in Jerusalem was going to profit from his letter, Eren said. Ruth HaCohen, a musicology professor at Hebrew University, said the letter shows Wagner's desire to have his anti-Semitic views accepted by the public, describing its sale in Jerusalem of all places an "irony". But there are those in Israel who are trying to break the taboo surrounding Wagner and promote his music, like Jonathan Livny, an attorney and hear of the Israel Wagner Society. He said although Israelis embrace German products like Volkswagen and Mercedes cars and Israeli trains and submarines are made in Germany, they continue to boycott Wagner. "It's easy to boycott him because most of the people don't listen to his music," said Livny. 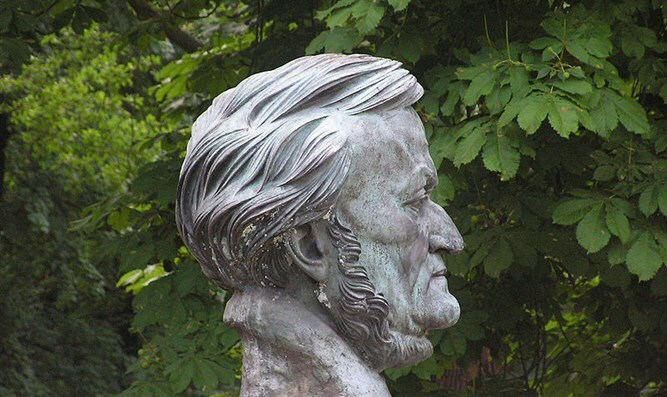 Wagner has become a "symbol of the Holocaust", Livny added.